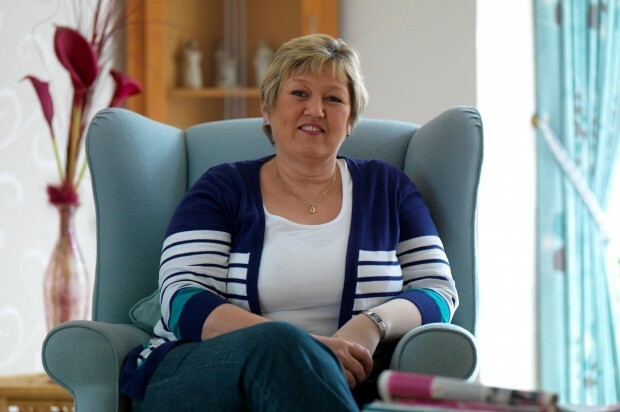 Sharon has had breast cancer and used Cancer Help’s hypnotherapy service to help her deal with the resulting treatment. “In 2008 I was diagnosed with breast cancer. On 13th May I had my left breast and lymph nodes removed. My treatment involved 6 months of chemotherapy and 18 treatments of Herceptin, 18 months in all. All the treatments involved needles and I had a phobia of needles. I was introduced to Cancer Help by a friend. She informed me that they did hypnosis and felt sure they could help. During the 18 months of treatment I was helped with hypnosis and words of reassurance. At every step of the way the people at Cancer Help were there for me. They were understanding and thoughtful and I found I could discuss anything with them. I think they know me better than I know myself. The treatment has finished now but sometimes I have fears and my thoughts run out of control. You need someone to listen and the people at Cancer Help are there. Many thoughts we cannot express to our families because we do not want to worry them or feel they would not understand. For me going to Cancer Help is a comfort blanket. Relaxation therapy is also available – it’s a top to toe treatment house for cancer patients. Cancer Help has been a blessing for me. Sometimes I just seem to lose my way or the path gets a little rocky. The people at Cancer Help always manage to put me back on track. I am very grateful to them.